2018 Dance Promo from Windward School on Vimeo. With a thoughtful and comprehensive approach to dance education, Windward Dance offers beginner through advanced level courses that focus on establishing a strong technical foundation. In addition to creating a safe space for students to take risks and explore their artistic voice, the program also exposes them to the rigor, excitement, and diversity of the professional dance world. 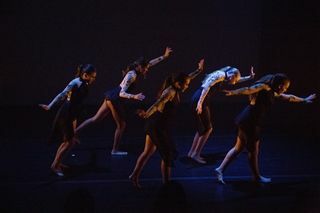 Windward Dance, above all, is committed to unearthing personal potential and ensuring each individual student who moves through our program receives encouragement and the opportunity to develop their unique path. Alesia Young received her earliest dance training at The Performing Arts Center in New Jersey, New York's Steps and Broadway Dance Center, and throughout Europe, with a brief stay at Amsterdam's School for New Dance Development where exposure to Europe's leading edge contemporary aesthetic had great influence on her technique and later on her choreography. As a Presidential Arts Scholar, she later gained a B.A. in Dance from The George Washington University and an M.F.A. 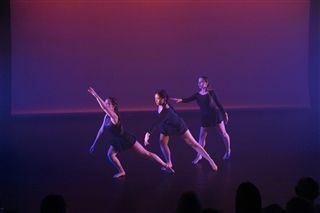 in Dance from UCLA. Alesia has danced professionally since she was 16, working as a principal dancer for an eclectic group of touring companies, including OniDance, String Theory, The Dance Construction Co., and Sakoba Dance Theatre (London); performing in venues such as Jacob's Pillow, Lincoln Center, The Joyce, the Kennedy Center, The Broad, and Dorothy Chandler Pavilion. She is a sought after modern teacher most recently invited to lead classes at the acclaimed American Ballet Theater’s Summer Intensive. Alesia also continues to work as a concert and commercial choreographer/director with work featured at both the pre-professional and professional level, including Orange County School of the Art’s Classical Contemporary program where she has served as Modern Faculty and Artist in Residence, a commission for the acclaimed Latin-based contemporary company Contra-Tiempo, and with dance films on tour at festivals throughout the US and Europe. Alesia is currently Area Head for Dance at Windward School where she directs Dance Company, co-directs WRED, and serves as Performing Arts Initiative Co-Chair. Through her mentorship over the years, dance students have gone on to acceptance into some of the top conservatories and college level dance programs including The Juilliard School, Boston Conservatory, NYU Tisch School of the Arts, and SUNY Purchase. Julie Friedrich’s distinguished career as a professional dancer, mentor, and dance educator in the areas of ballet and contemporary dance spans more than 18 years since she joined her first professional company at the age of 17. Julie received her primary dance education from the Los Angeles County High School for the Arts and Meredith Baylis of the Joffrey Ballet School. Upon graduation, Julie joined the American Repertory Ballet under the direction of Septime Webre, and then went onto join Les Grands Ballets Canadiens in Montreal under the direction of Lawrence Rhodes. Discovering her passion for contemporary dance during her time with Les Grands Ballets Canadiens, she made the move to Europe where she danced professionally for the following five years. She has danced works by George Balanchine, Anthony Tudor, Ohad Naharin, Septime Webre, Nacho Duato, Guy Weizman, Alex Ketley, and various other European choreographers. Upon returning to the Unites States Julie joined the acclaimed contemporary dance company BodyTraffic as one of its founding members. Currently Julie teaches, choreographs and mentors students across the country. She teaches full time at the Windward School in West Los Angeles under the direction of Alesia Young, and tours the country with Francisco Gella as part of his artistic team of dance educators. Previously, Julie taught for over a decade at both the Orange County High School for the Arts and the Los Angeles County High School for the Arts. During her time at both schools, along with teaching ballet and contemporary, she was the lead senior seminar advisor to all of the graduating dance students going onto the professional and collegiate world of dance. Through her guidance, Julie has had numerous Young Arts winners and her students have gone on to study at Juilliard, USC/Kaufman, SUNY Purchase, Dominican University and the Boston Conservatory just to name a few. Professionally, she has former students working in such companies as ATE9, Kyle Abraham, Aspen Santa Fe Ballet, and on Broadway. In 2013, President Obama and the White House named Julie one of the most influential arts teachers in the country for her mentorship of young dancers. Originally from Edmonton, Alberta, Christina studied in the professional division of the Royal Winnipeg Ballet School. She later went on to attend the Juilliard School in New York City, graduating in 2005 with a Bachelor of Fine Arts. 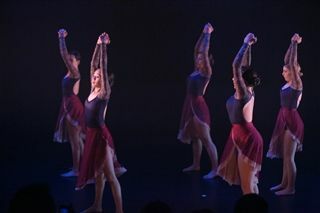 Upon graduation, Christina kicked off her professional career with a residency at the Baryshnikov Arts Foundation, and soon after joined the Koresh Dance Company in Philadelphia. After two seasons with Koresh, Christina returned to Canada in 2007 to join Les Ballets Jazz de Montréal (BJM Danse), where she danced for eight seasons, touring the world. In June 2015, Christina relocated to Los Angeles to join BODYTRAFFIC. Christina has performed in television productions and special events for companies such as Cirque du Soleil, L'Oreal, Royal Caribbean Cruise Lines, Black Fawn Films and Radio Canada. Throughout her career she has danced the works of renowned choreographers such as Crystal Pite, Robert Battle, Hofesh Shechter, Aszure Barton, Barak Marshall, Ohad Naharin, Cayetano Soto, Mauro Bigonzetti and Andonis Foniadakis. In addition to performing, Christina is also passionate about teaching. She teaches master classes globally and has been on guest faculty for organizations such as Regional Dance America, Idyllwild Arts Academy, Long Beach Ballet, Windward School, Greater Washington Dance Center, Montreal Dance Network and Le Domaine Forget Academy of Music and Dance. Christina’s love for teaching also extends into yoga. Certified through YogaWorks, she currently teaches yoga at AMDA College for the Performing Arts, BODYTRAFFIC, and to a large private clientele in the Los Angeles area. 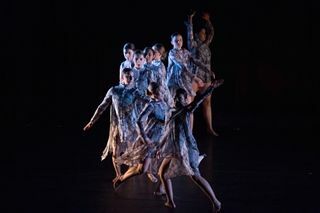 Dance Company is an advanced rep performance group selected by audition. Through a series of short-term residencies with some of the most accomplished artists in the business today, students maintain a strong technical foundation and create and perform commissioned choreographic works. 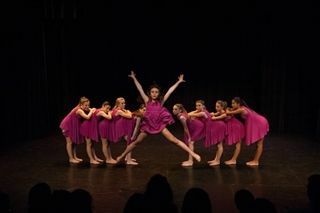 Windward's Middle School Repertory Dance Ensemble is a program for Windward’s most dedicated intermediate/advanced level Middle School dancers. "Our goal is to create a dance program that offers the fullest in dance education beyond traditional studio offerings, one on track with the constantly evolving landscape of the professional dance world. Ultimately, we want our student-dancers to think of Windward Dance as their home."